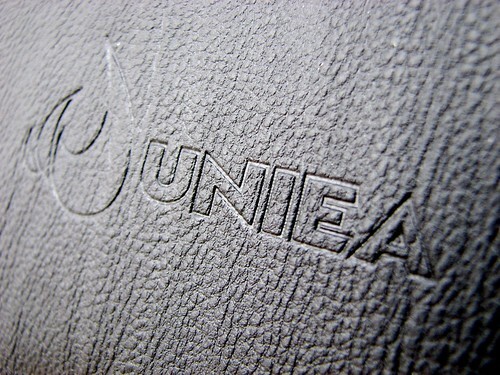 UNIEA are back in the spotlight this week with a new protective cover that they’ve developed for the MacBook and 15.4-inch MacBook Pro.I’ve been test driving the U-Suit, which works by snapping on to the external side of the display and the underneath of the base offering full protection from dust, dirt and stains as well as the occasional bump here and there. 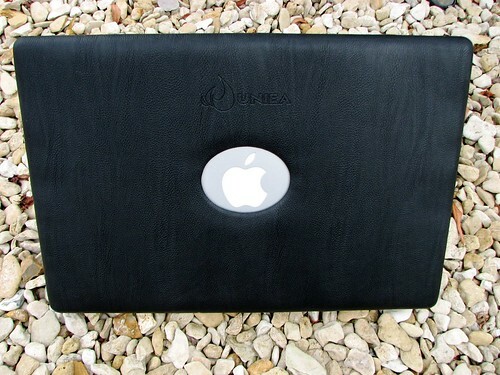 Protective QualitiesThe U-Suit consists of a leather-like material that simply wraps around the exterior of your Mac with a cut out for the display latch, optical drive and ports that you need access to. 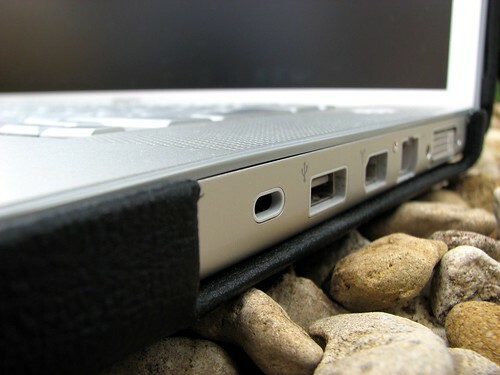 Whilst there’s no real impact protection gained from having this cover on your system it does give your portable Mac a new sense of style and design that turns heads when they see the Apple logo encased in this cover.Inside this two piece cover you will find a layer of ABS plastic lined to protect your laptop from everyday bumps and knocks from the exterior of the display panel to the corners. UNIEA have done well with the precise measurements of this cover in that it exposes your Mac in the right places and protects your notebook where it counts.Using the combination of the cushioned exterior and the plastic, an element of heat absorption also takes place when you have the U-Suit on, and I discovered that I was able to use my Mac without it being uncomfortably warm on my lap.Style and DesignI’ve been testing the black U-Suit for the 15.4-inch MacBook Pro and personally I like the look and the protection it offers without compromising usability. You can work as you would normally do without the cover being intrusive in any way. 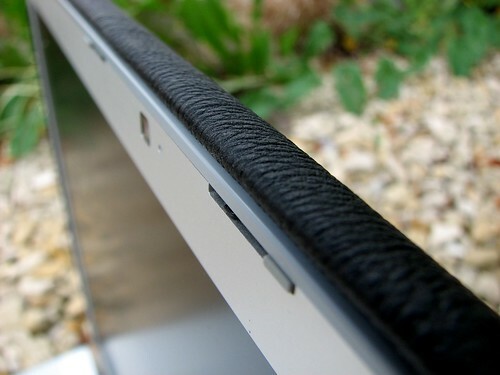 Whilst the material isn’t stated to be leather, rather leather-like, you can still sense the quality finish and unless you know your leather from your fake-leather then like me, you probably wouldn’t able to tell the difference.The verdictUNIEA have created a range of cases that adds a new look to your Mac in a non-tacky way. It resonates that luxury look and makes your Mac look that little bit more different to the guy sitting next to you who also has a Mac. 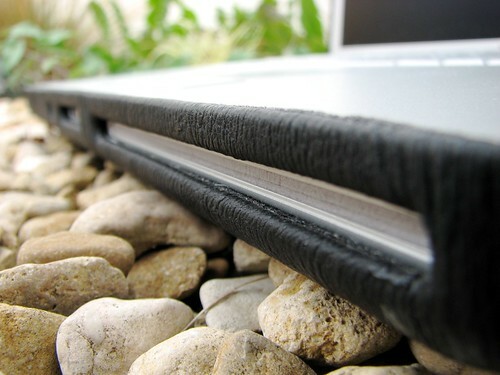 I’m no fan of the purple version, and would rather see a nice chocolate brown model instead but other than that the only other criticisms I can point out is that the U-Suit, like any other cover adds extra weight to your notebook as well as increases its overall dimensions by a noticeable margin. However, the U-Suit is still suitable for use outside of the home and should you feel it’s not OK, then you can just snap the two shells off your Mac within seconds and likewise when re-attaching.Whichever route you go down, UNIEA are one of the very few if not the only that offers protection in a similar fashion without overcooking your system.